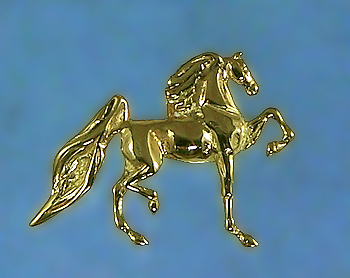 Saddlebred pendant also ideal for a charm. The Gorgeous Horse is your source for Saddlebred jewelry. Absolutely gorgeous Saddlebred pendant offering three dimensional features. Striking and in detail enjoy this five gaited pendant. PICTURED AND PRICED IN 14KT GOLD!